Unfurnished lower cottage flat located in popular Croftfoot. 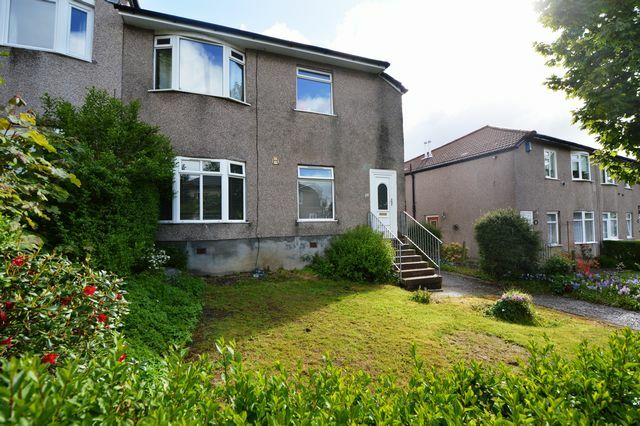 The property is presented in good condition and comprises spacious living room overlooking the back garden, small kitchen with appliances, 2 double bedrooms both with fitted wardrobes, dining room off the living room and modern bathroom with shower over bath. Gas central heating.Private rear garden. Set in popular southside location and within walking distance of Croftfoot railway station and the ever popular Kings Park area.